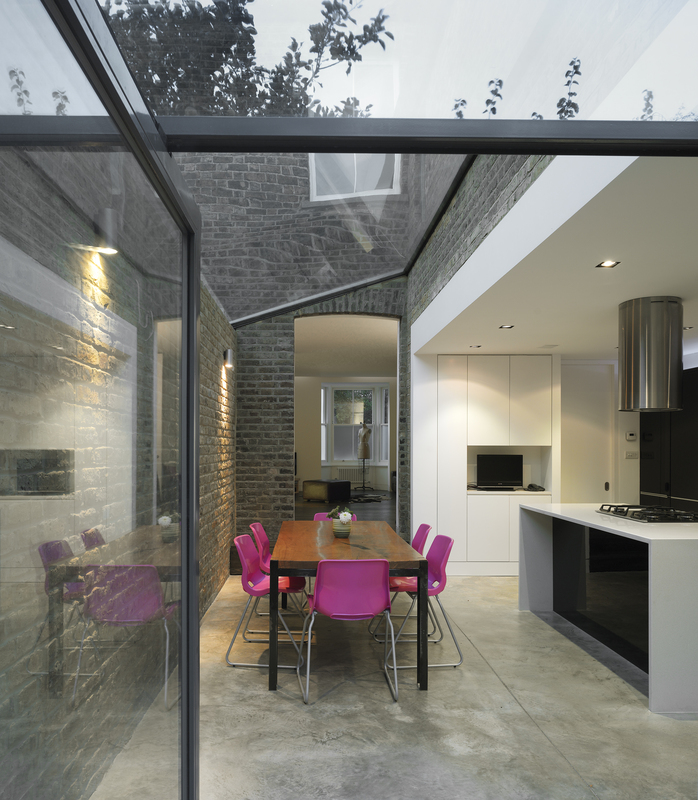 Mapledene Road is situated in a conservation area in Hackney. 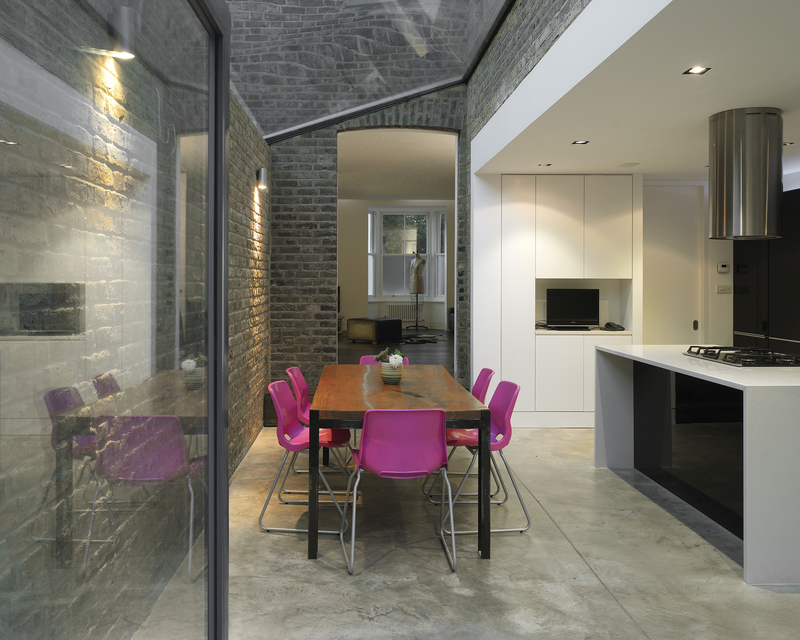 The property had been stripped of virtually all its period features and had become run down and used as a “crack den” leaving it ripe for modernisation. 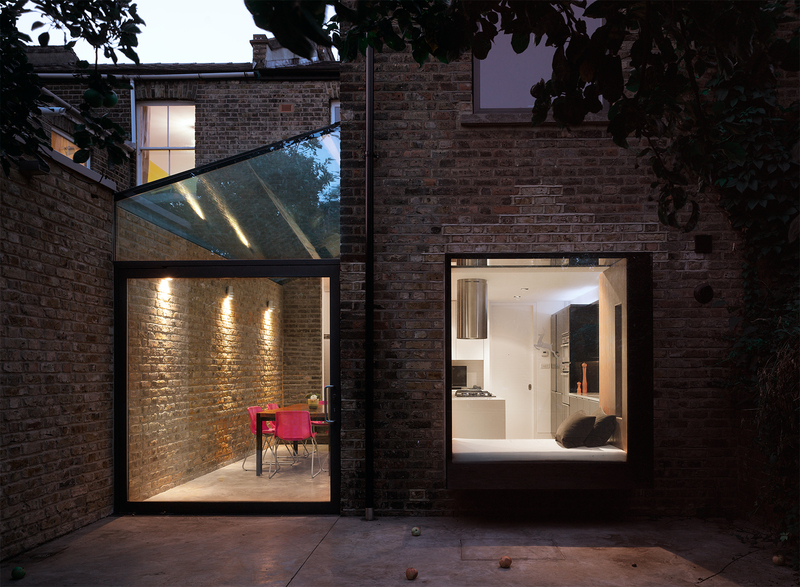 The cellular ground floor was opened up and extended to the rear to allow the spaces to flow into each other and to the garden. 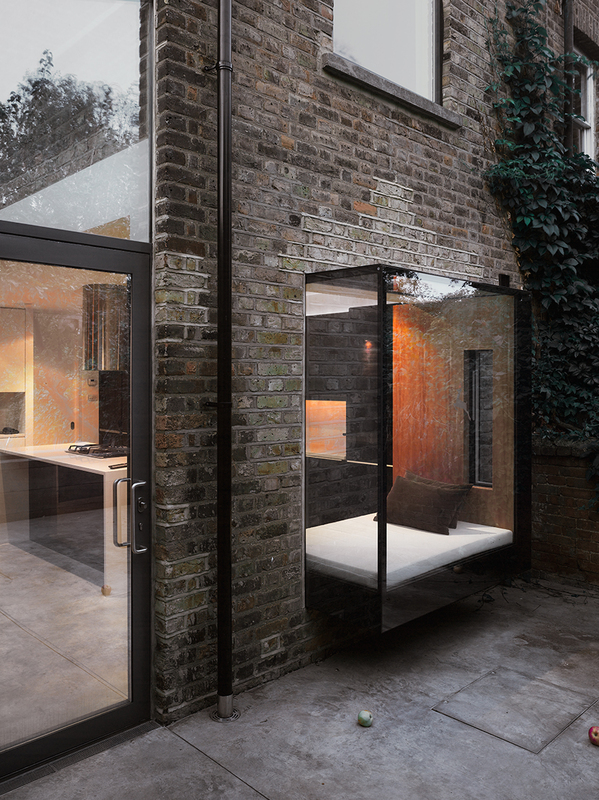 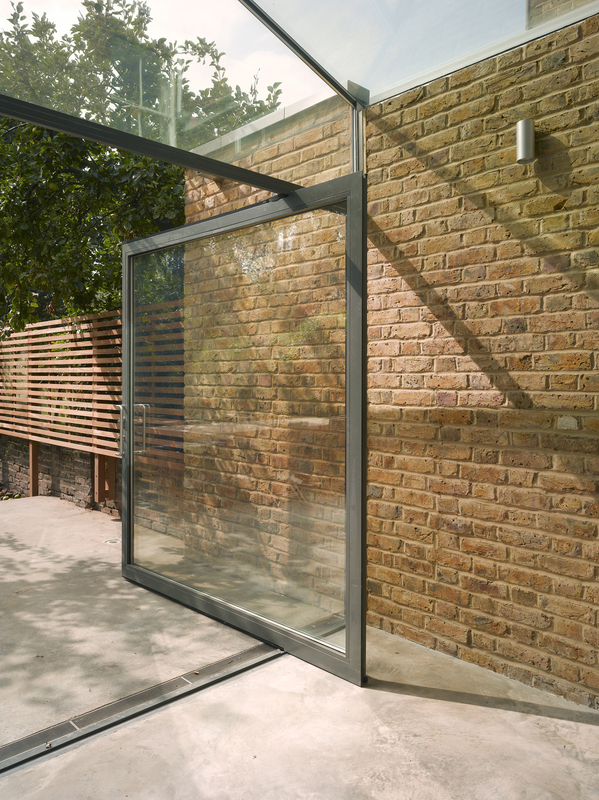 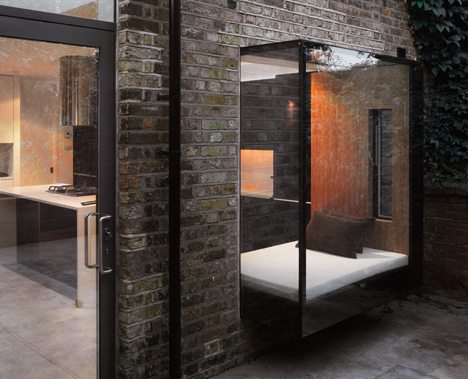 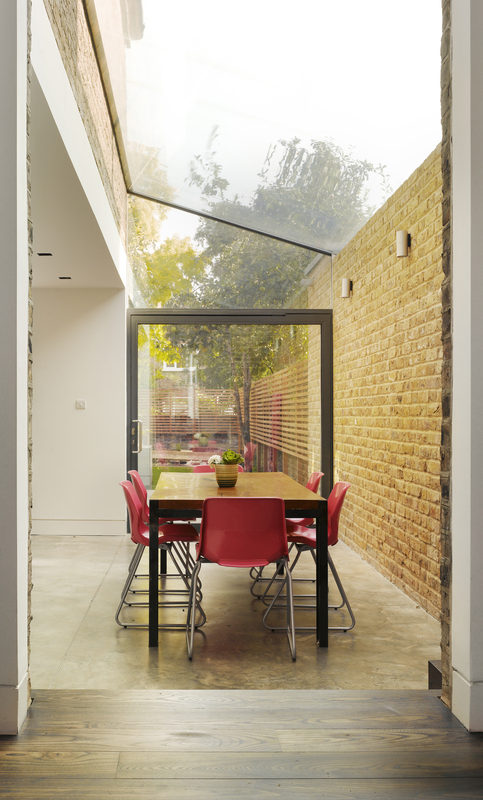 The kitchen and patio areas are unified by a concrete floor and London stock brick garden wall. 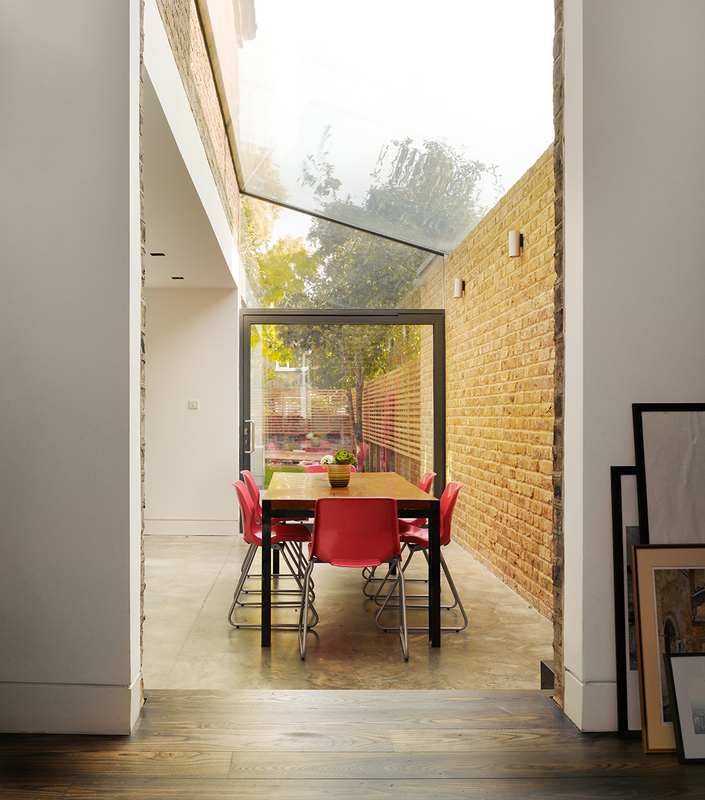 The expansive glass roof opens up the view to the sky giving the space an external character. 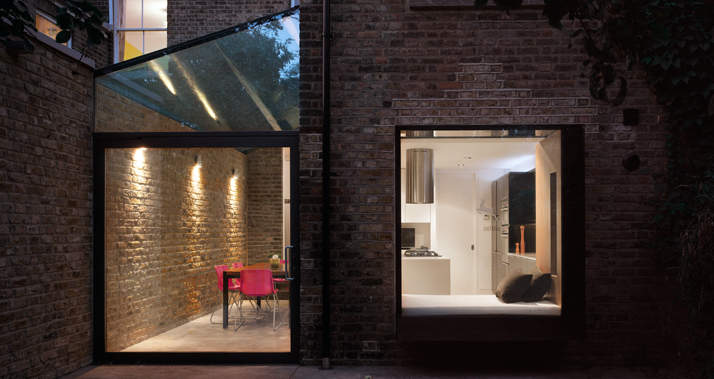 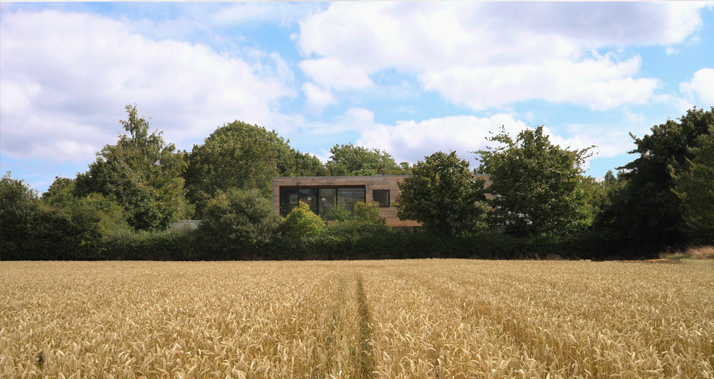 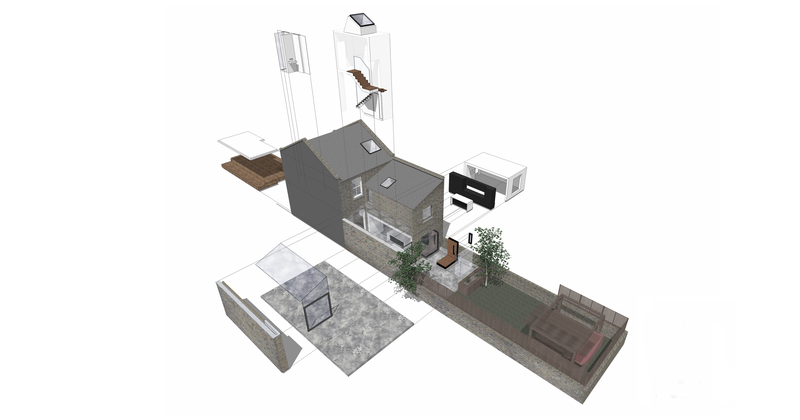 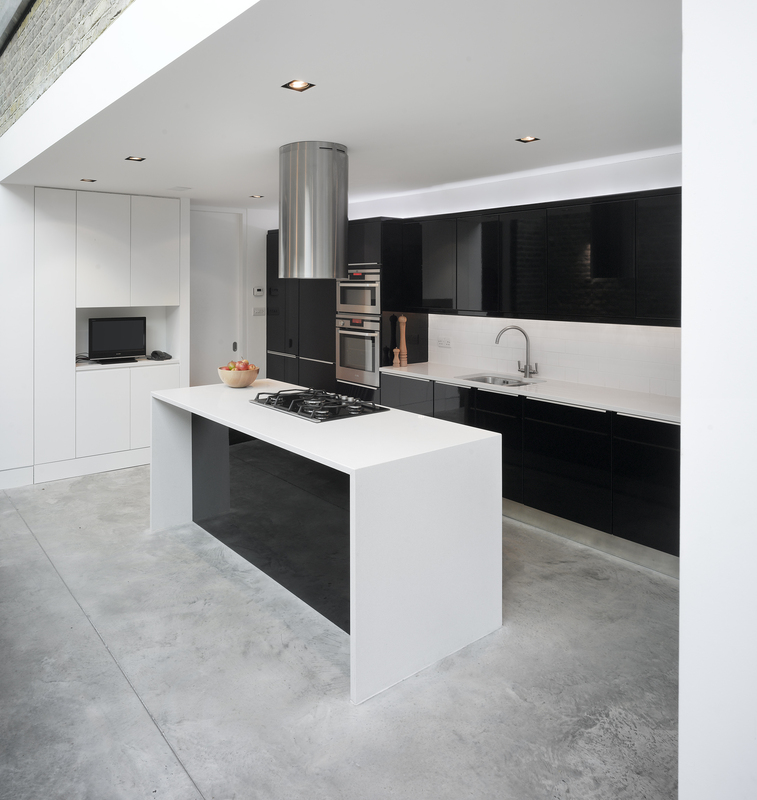 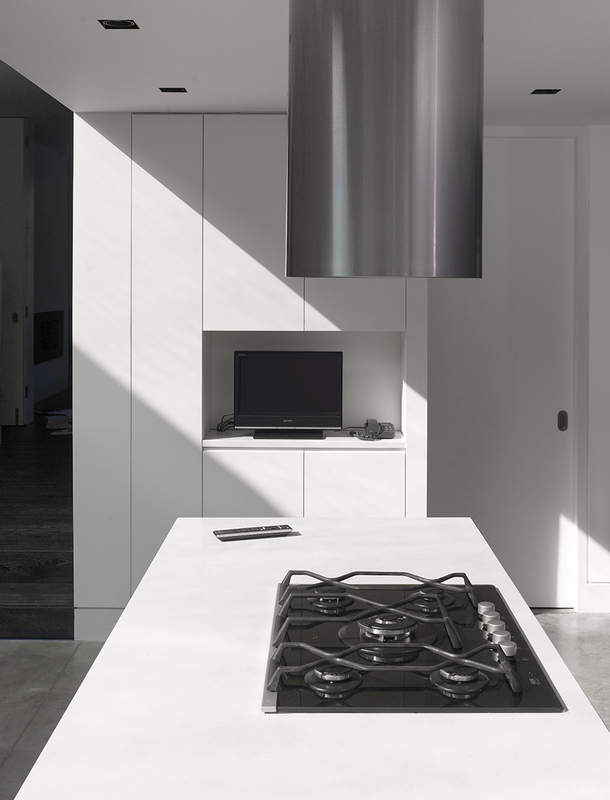 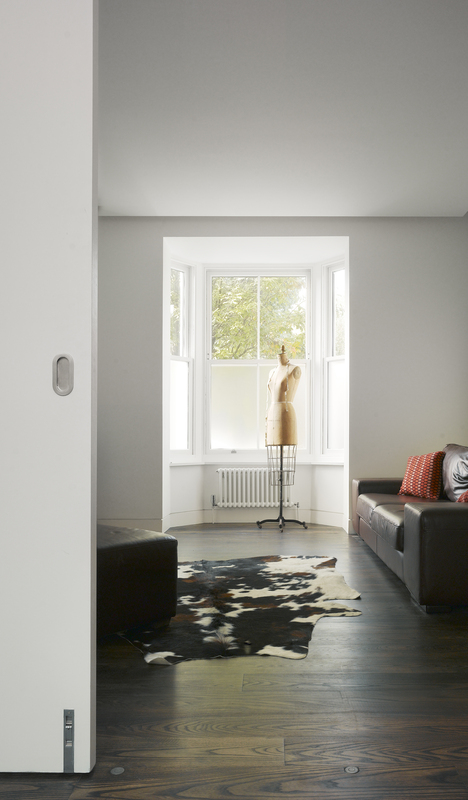 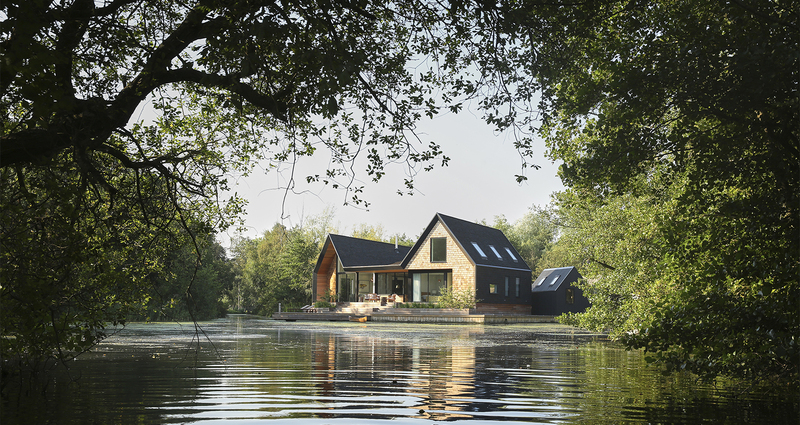 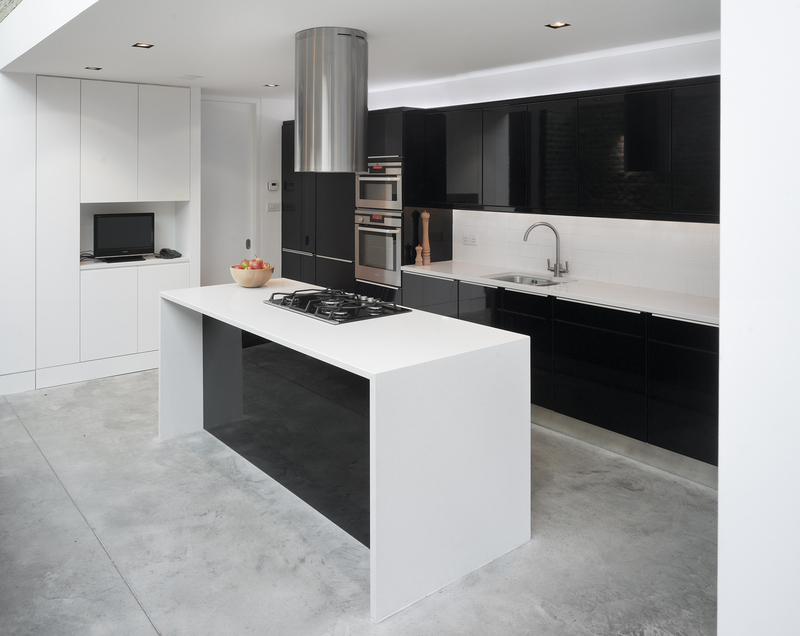 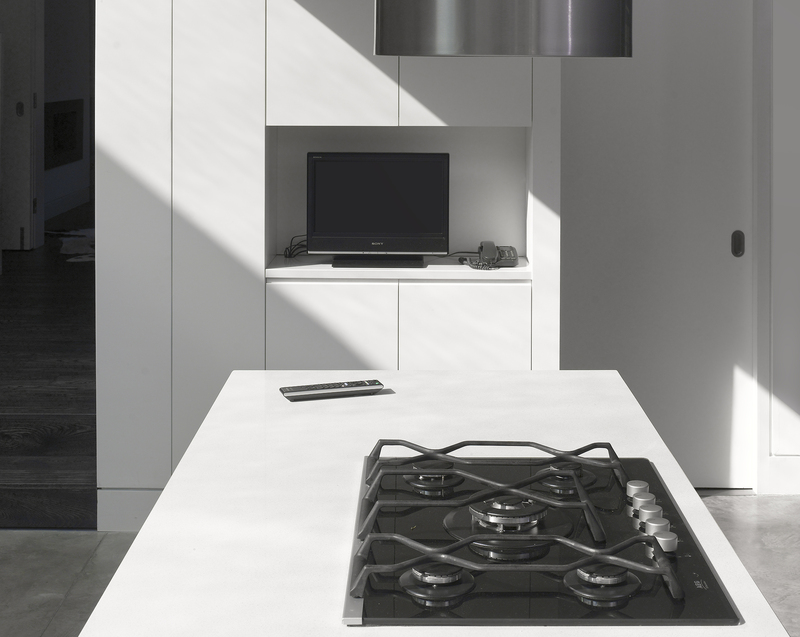 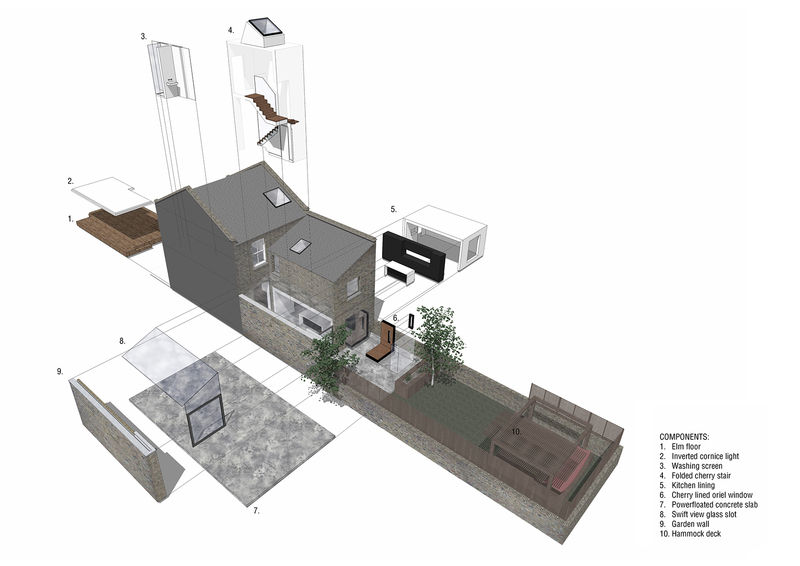 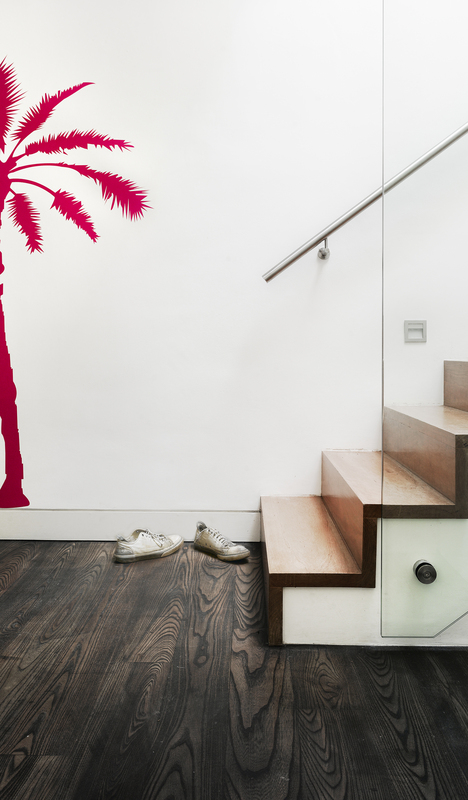 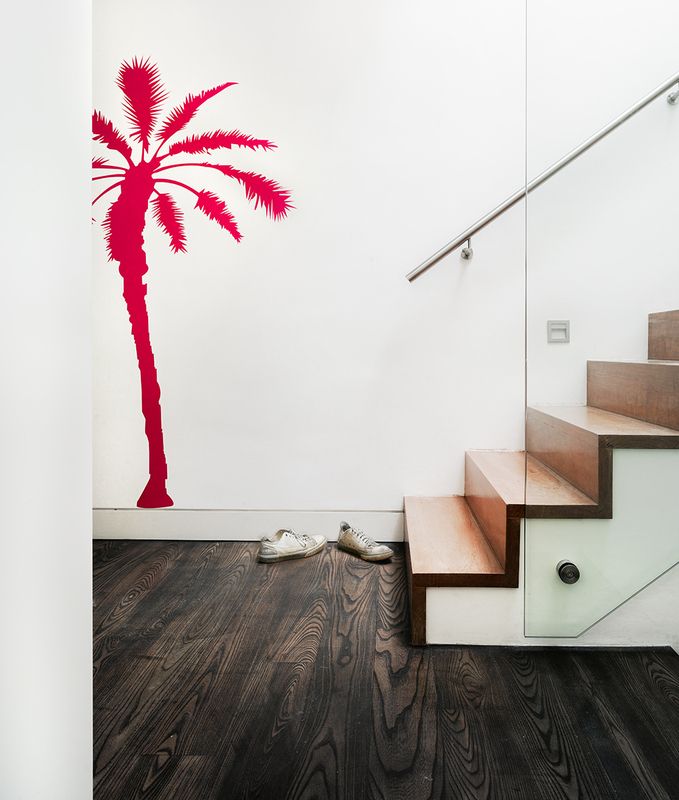 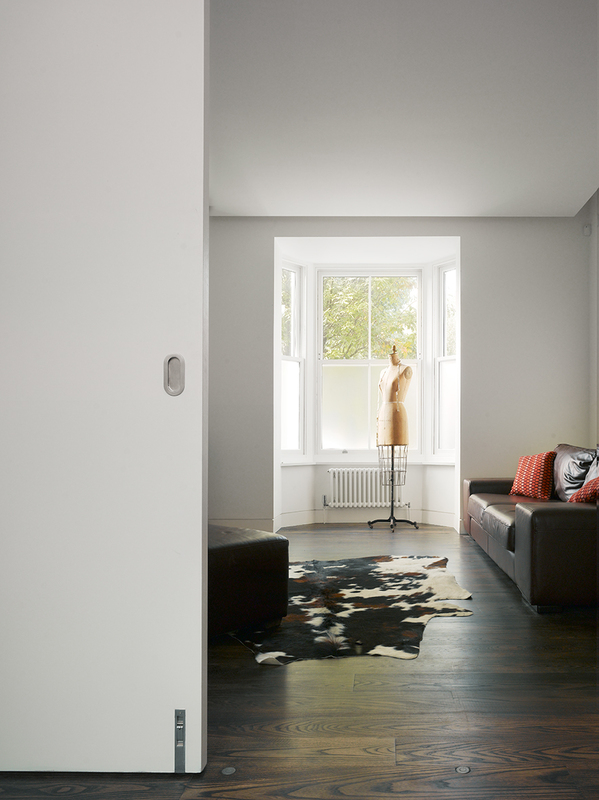 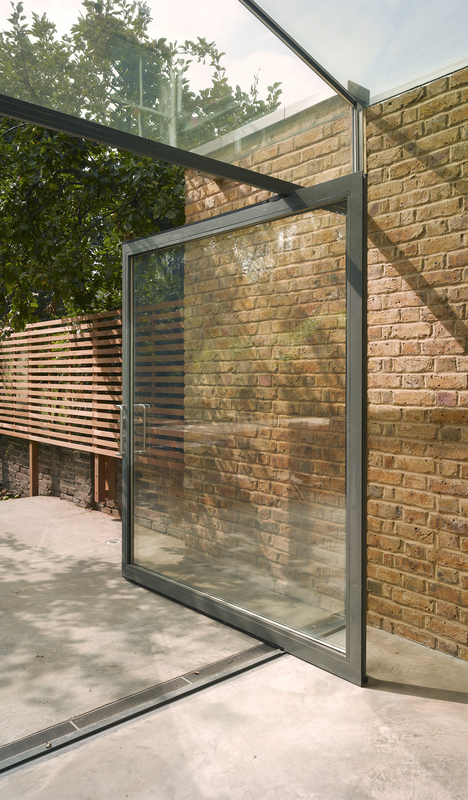 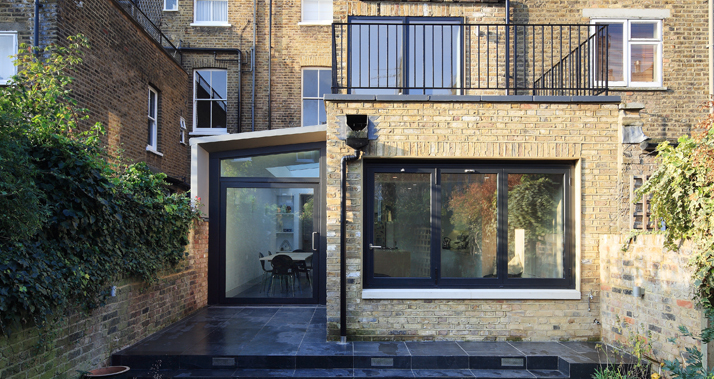 The project won NLA's Don't Move Improve Award and was shortlisted for an RIBA Award, AJ Small Projects Award and the Grand Designs Awards 2009.